A startup program called Miles allows users to earn rewards from participating brands by taking a jog, jumping on a bicycle or driving to work. 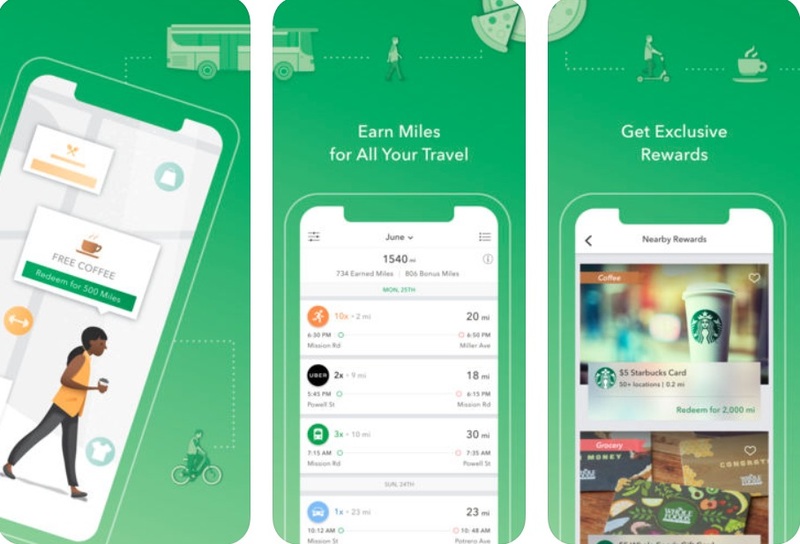 Regardless of the method of travel, the miles are automatically accumulated on the mobile application, and can then be redeemed for a variety of experiences, products and services—catered to users’ habits. The app collects location data to predict trends and interests, enabling it to deliver reward options based on specific users. Those who, for example, get their daily espresso from Starbucks or hit the gym every morning will see that reflected in their offers. The program also encourages a healthier lifestyle by dividing mile points into different tiers, with walking miles being worth the most and carbon-footprint-heavy methods like airplane travel being worth the least.